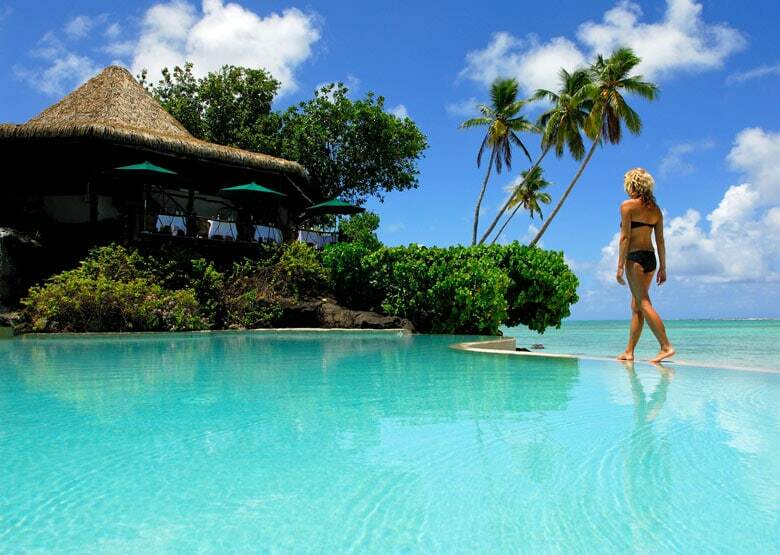 Pacific Resort Aitutaki is a beautiful boutique resort located on the stunning island of Aitutaki. 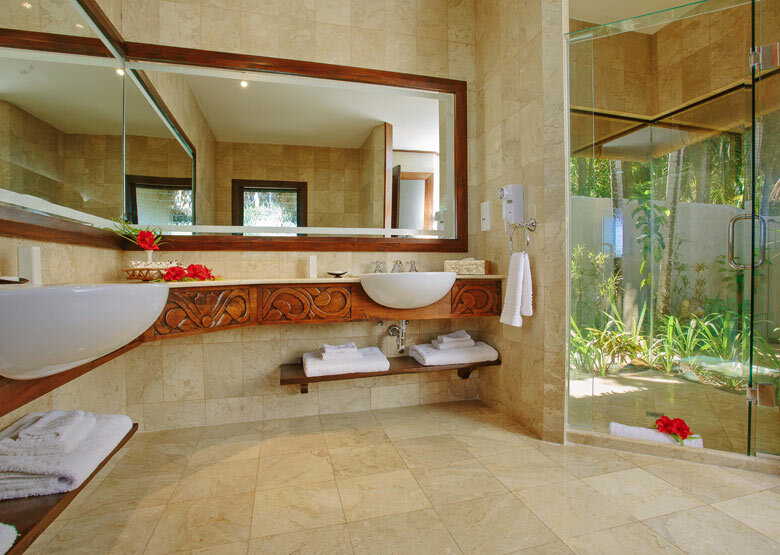 Pristine beaches, luxurious accommodation & complete seclusion. The perfect escape. Serenely beautiful this resort is its own little paradise. 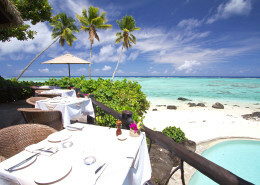 Widely recognised as one of The Cook Islands most luxurious resorts, Pacific Resort Aitutaki is blessed on many levels. 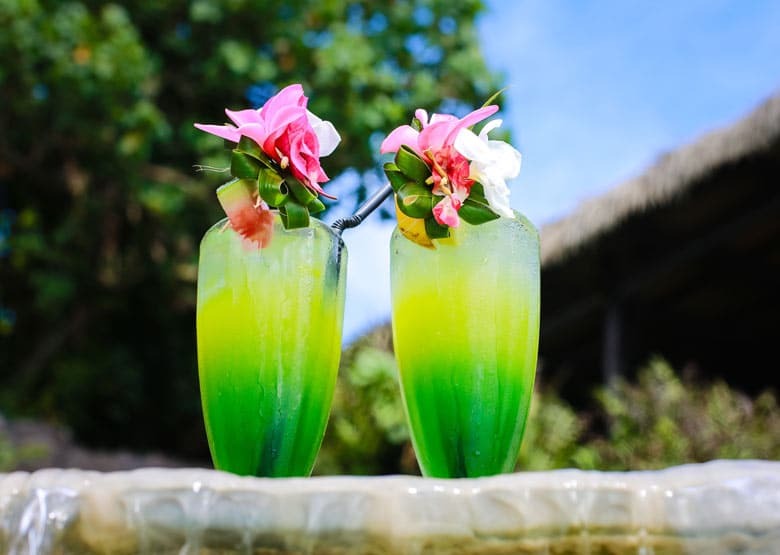 Located on a hillside that sweeps down to a beautiful turquoise lagoon fringed by a fine, white sand beach, this 5 star boutique resort delivers a sublime holiday experience for couples and families with older children (12 years +) alike. 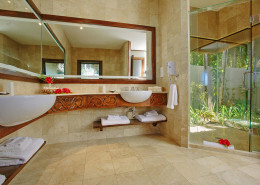 It’s 29, spacious freestanding bungalows are laden with elegant Pacific décor, luxury amenities such as Bvlgari bathroom products, and small personal touches that are guaranteed to elevate your holiday experience. 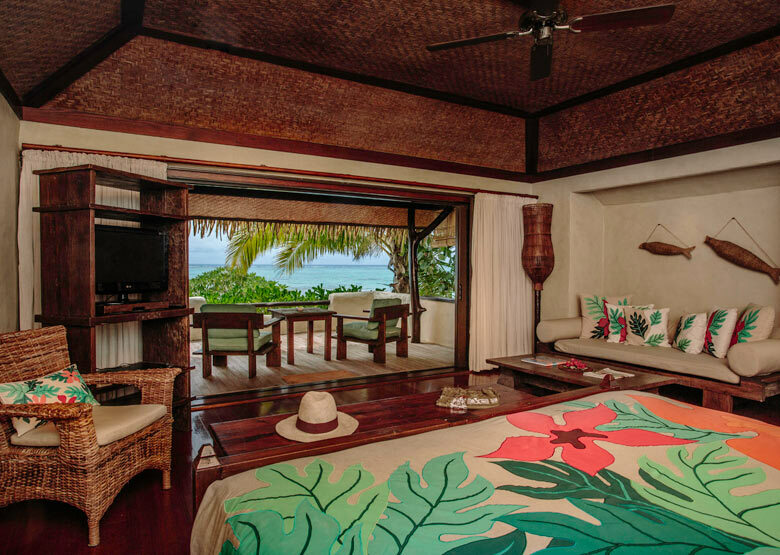 Each room opens onto a spacious balcony with a day bed, a million dollar views and beach access. There is a luxurious Spa, fabulously attentive staff, a poolside bar that doubles up as a casual dining area for lunch and dinner, as well as a fine dining restaurant which affords one of the most spectacular views on the Island. Serenely beautiful, this is the perfect resort from which to explore the extraordinary beauty of Aitutaki and its striking lagoon. Pacific Resort Aitutaki guarantees a truly unforgettable holiday experience. 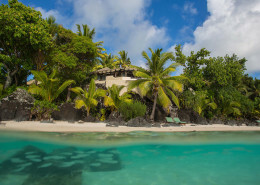 Located on the island of Aitutaki, this resort ticks all the boxes for a relaxing, private and luxurious getaway. 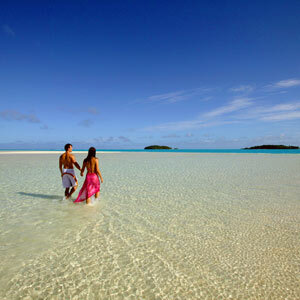 Pacific Resort Aitutaki is located in Amuri on the beautiful island of Aitutaki, Cook Islands. Getting to Pacific Resort is easy! Vehicle transfer time is approximately ten minutes from Aitutaki Airport. See map below for exact island location. Seamless check in, orientation of our room & the resort with fantastic staff. 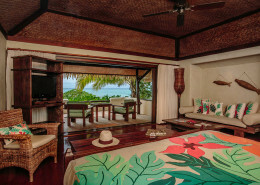 We had a deluxe beachfront bungalow which was very roomy with a huge double bathroom, great bed & a deck overlooking the lagoon. What more could we wish for. The food was excellent, James at the bar kept us entertained and made great cocktails.